The calculations from SAP take information about your home covering all areas of the heating, hot water systems, the thermal properties of the walls, roof and windows which will keep heat in, and any micro-generation or energy saving measure that you might have in place. Using all this information it is possible to understand a lot about the energy usage and potential for your home. Using the same calculations in SAP, Be Energy Smart takes the information that you provide in the energy assessment and calculate your energy potential and we let you see what measures that you could take to reduce your energy bill and CO2 emissions. Take the energy assessment now! An energy cost rating (SAP rating) – calculates the energy costs associated with space heating, water heating, ventilation, and lighting, less any cost savings from energy generation technologies. So that the results are independent of dwelling size for a given house or home, it is adjusted for floor area. The overall rating is provided using a scale from 1 to 100 with the higher number representing better costs. An environmental impact rating – this calculates the annual CO2 emissions associated with space heating, water heating, ventilation and lighting, less the emissions saved by energy generation technologies and is again adjusted for area. An overall Dwelling Emission Rate (DER) – equal to the annual CO2 emissions per unit floor area for space heating, water heating, ventilation and lighting, less the emissions saved by energy generation technologies, expressed in kg/m²/year. Appliances have a very similar energy rating and it is a very easy way to find out how efficient the electrical appliance is. It is easiest to understand if you compare energy ratings with each other. For example, if I have a washing machine with an energy rating of A, it uses less power than a washing machine with an energy rating of B. 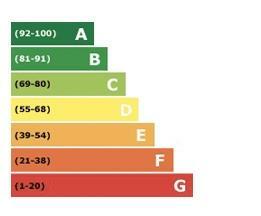 Different appliances give different reasons for awarding an energy rating. This is where it can become quite complicated for the consumer. Ideally, all of your appliances would be A grade, implying that your home is using energy efficiently, reducing your energy costs as well as your impact on the environment. For example, energy saving light bulbs have an SAP rating of “A” and last up to 10 times as long as their incandescent equivalents. Replacing one bulb for the other not only saves you in energy cost, but saves you the time and cost of purchasing new bulbs as well. Get an estimate of your SAP rating in 2 minutes! And with an A rating, you can be sure that you are doing less harm to the environment when you accidentally leave your light on overnight. The energy use is significantly reduced, and the result is less carbon emissions and a cheaper electric bill. One of the easiest and most cost effective ways to improve your SAP rating is to switch to energy saving light bulbs. Energy saving light bulbs use only 20% of the energy of incandescent (standard) light bulbs while still providing the same amount of light. The result is high efficient energy saving lighting without much inconvenience. Beyond requiring energy saving light fittings on occasion, the most you will need to do is replace your old bulb when it burns out with an energy saving bulb. Are there any significant differences between the previous version of SAP and SAP 2009? The most significant change is the move to calculating the energy demand on a monthly basis. The purpose of this is to provide more accurate assessments of energy use across the different seasons of the year. Similarly, the other changes are focused on improving the accuracy of dwelling assessments, particularly low energy dwellings. Why are we using the 2005 SAP methodology to assess CO2 emission factors? It has been decided to continue using the SAP 2005 methodology for producing carbon emission factors based on the most up-to-date information available. Nonetheless, it was recognised that further work was required to examine the difference in carbon savings between distributed generation and grid based generation in terms of transmission losses. This will be considered, amongst other issues, as part of a proposed extensive review of SAP. Why does DECC need to carry out further reviews of SAP? It is necessary to periodically review SAP to keep it up dated and fit for purpose. In support of this aim DECC may consider issuing an interim revision of the SAP document, if this was necessary. Such a revision would enable minor changes to be brought into SAP before the next formal revision. It could possibly take account of information from work in progress, for example, field trials assessing the performance of products under installed conditions. Though, Appendix Q remains the principal route for introducing new product performance information in advance of a full revision to SAP. Interim revision would have no material impact on assessments previously carried out under SAP 2009.